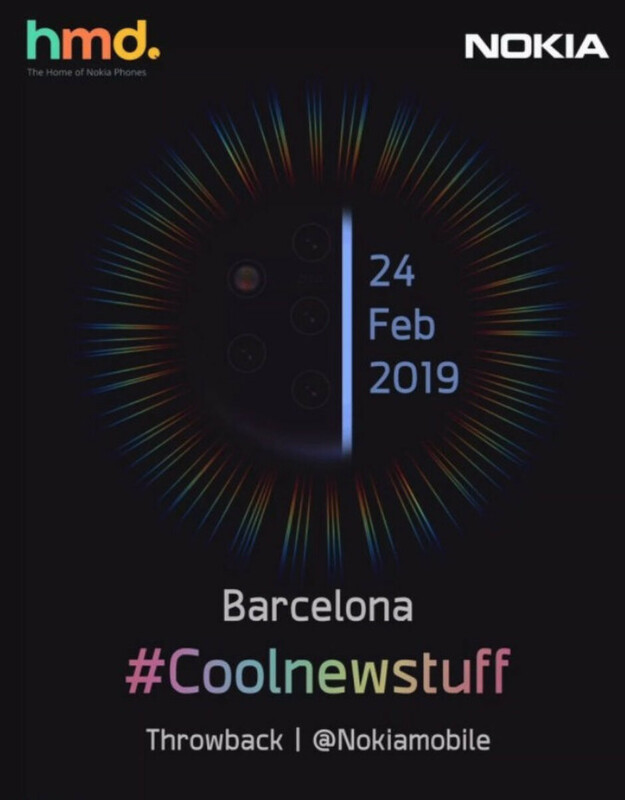 We reported a few days ago that Nokia confirmed its MWC 2019 event will take place on February 24. However, aside from that, we knew nothing about the company's plans for the event and whether or not the Nokia 9 will be revealed during the event. Thanks to an official teaser, we now know with certainty that, after numerous delays, the Nokia 9 flagship will be officially introduced on February 24. The teaser for Nokia's MWC 2019 event shows the same penta camera setup that we know will be part of the Nokia 9. Although it's not that obvious at first glance, a closer look will definitely reveal Nokia 9's amazing five-lens camera. Along with the Nokia 9, additional smartphones may be unveiled like the Nokia 8.1 Plus and Nokia 1 Plus, so it looks like Nokia's MWC 2019 event shapes up to be quite exciting for the brand's fans. The other one is on the other side of the line, but it's blurred our by the writing. You blind? You can see 5 clearly! It has 7 holes, 5 camera's, 1 Led and the other one is probably infrared laser. Ahh you meant the picture, i just saw it sorry. I think it still doesn't have as many holes as you SIGPRO. The Nokia 9 is the smartphone I'm most eagerly anticipating at MWC. I'm also highly intrigued by what could possibly be the Nokia 6.2. I love the design. This 100%. Unless you're running pointless benchmarks, you would literally not be able to tell difference in regular usage. You will be able to easily tell the difference in performance when running an emulator like dolphin or damon ps2. But for the casual user, you're right. They won't notice that much of a difference in day to day use. True except the 845 was noticeably worse in terms of battery life than the 835 before it. So the 855 might make a difference in that regard. We'll have to wait to find out. Of course if it has huge battery it be great anyway. There are too many factors that go into battery life. One phone having better battery life than another wouldn't necessarily tell you which is which. That. Penta-camera. IS. Ugly. 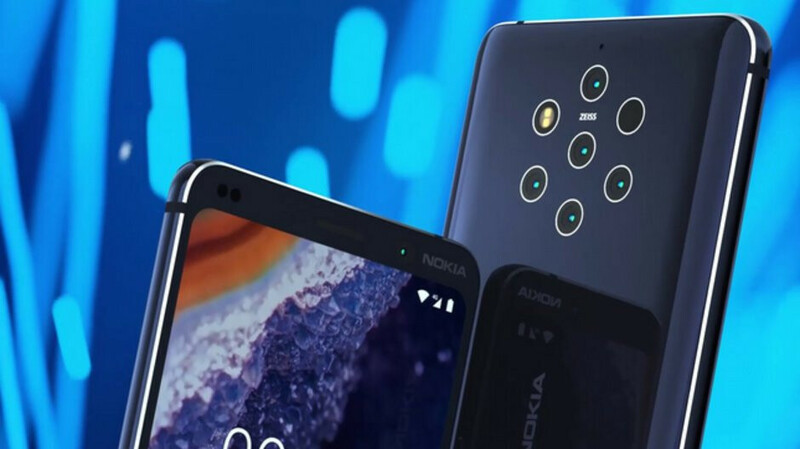 Just put 1 or 2 cameras at the back nokia, what were you thinking? "We could save production time, energy, cost and rejected back glass but no, we want many holes just to hype the product." If it performs well and offers something innovative, no one will care about the looks. The performance is all that matters. I agree. That camera setup is ridiculous looking imo. I don't really get what they were trying to accomplish. I don't understand you people who are so concerned about the aesthetics of the phone. I don't necessarily want an ugly phone, but if it takes the best pictures, then so be it. It's almost as if you'd prefer a pretty phone that takes mediocre pics than something like this. When it comes to my devices, functionality over form for me always. If we pay for it with our money, then we have every right to talk about its aesthetics. But I commend you for being more mature about it and not breathing down our backs like some people are. Cool, but let's be real though. You don't plan on paying for this phone with any money. You just want a place to complain. Exactly. Glad someone else sees what's really going on here. It's the same rhetoric on almost every HMD article, which is completely unnecessary. Finally a phone that might beat Huawei in Camera division. Very very excited about this. Folks who simply cry that the design is ugly can never be satisfied. Does anyone have an idea about the 7th hole? I doubt such a large opening is needed just for infrared. Unless its there for asthetic purposes. Exactly. People crying "ugly" are nitpicking and complaining for the sake of complaining. If it performs at least as good as Huawei smartphone camera's, no one will care about the looks, anyway. The Nokia 808 Pureview was a marvel in smartphone photography. Huawei can't really do anything original outside of trying to copy others and having a shady reputation. All OEM's copy, and most, if not all, have something shady they've done. The Pixel phones have already beaten Huawei. Hardware alone isn't good enough. You need software as well. Pixel smartphones have not beaten Huawei smartphones in mobile photography, it's the other way around. Most mobile reviews put the P20 Pro and Mate 20 Pro as having the best camera's on smartphones currently, and not Pixels. Huawei has been using both hardware and software to accomplish this, which is well known by those that use and know about Huawei smartphones. I'm all for it if they can demonstrate results that are superior to the others. People on here love to debate unimportant specs but most any phone made in the last couple years has a great screen, no lag, etc. Everyone needs to start distinguishing themselves in either camera tech, battery life, durability, etc. If they aren't already, all of these phones are racing to be almost identical to each other.